When I was 13, I enjoyed nothing more than spending my Saturday afternoons wandering around the mall. But these days, I have zero time, and even less patience, for this leisurely pastime of my youth. I now do over 80% of my shopping online–mostly because it saves me time, but also because the thrill of opening packages never diminishes. Thanks to our global economy, I’m not just limited to products in the US. I can order a dress and a swimsuit from Australia, tea from the UK, and ham directly from Spain–all without leaving my couch. People buy based on emotion and back it up with logic, not the reverse. As Simon Sinek said, “People don’t buy what you do, they buy why you do it.” Companies that understand how people make decisions win business. Their purpose drives their results and not the other way around. When customers visit your site, can they easily understand who you are and what you stand for? In other words, is your mission clear? What is your brand purpose? 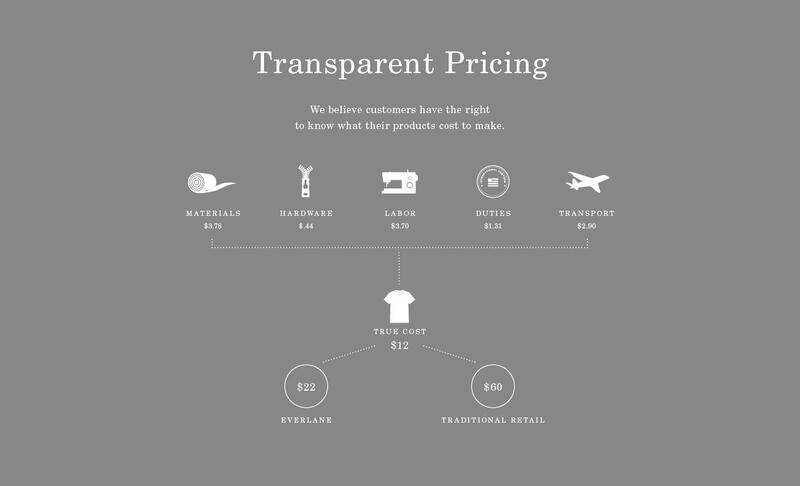 This type of clarity lays the foundation for what people will use as the basis of their purchasing decisions. Try this exercise right now to identify your values: stop reading this blog post, grab a piece of paper, and write 5-6 words about why your company exists. To paraphrase Simon Sinek, your company does not exist to make money. That is just the result. The best brands can express what they stand for in just a few words. 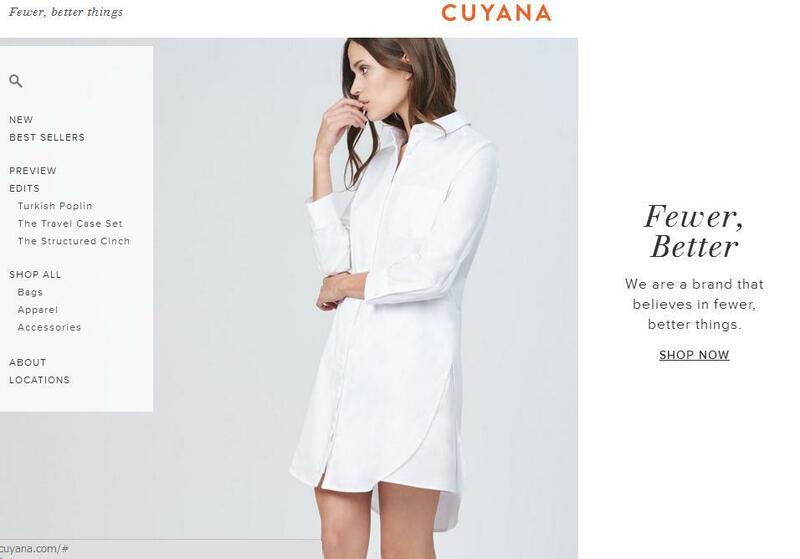 One of my favorite examples of a brand that does this well is Cuyana, whose tagline is “Fewer, Better”. Cuyana’s founders joke that they’re probably the only retail company that encourages people to buy less. 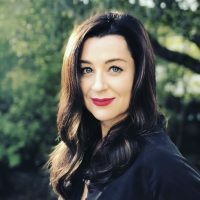 Their intent is for you to have the minimalist, quality wardrobe of your dreams, and their target audience is clear: women who don’t want a disposable wardrobe and take good care of their clothes. Personally, I shop Cuyana because my mother raised me on the old adage, “Pay twice as much, buy half as many.” Cuyana’s messaging resonates with me so much that I’ve started echoing Cuyana’s tagline to my friends when we discuss expensive purchases. How do you create Apple-like fanaticism for your product? You tap into your audience’s emotions to create a positive brand perception, one that converts buyers into loyal customers and then into advocates. Invoke emotions that build brand affinity, whether that’s funny, innovative, inspirational, or something else. Over a quarter of a million people put down a $1000 deposit for a car they’ve never seen in person and isn’t even completed. This is important to note, as the car’s features probably didn’t play a huge part in their decision (if anything, it only helped them justify it after the fact). Tesla has increased their positive brand perception so much over the past few years that everyone who pre-ordered the Model 3 wanted to be a part of that perception–the “it-factor” associated with owning a Tesla. One such obsession is Everlane. Everlane excels at creating buzz around their product releases, consistently generating thousand-person waitlists for new bags, coats, and shoes. They drum up buzz and excitement with a strong digital marketing strategy that tells a beautifully clear and compelling story–drawing people who believe that luxurious, long-lasting pieces should have transparent origins and a reasonable price tag. Taylor Swift gives us serious #squadgoals. In fact, #goals is such a buzzword that Fitbit created a “Find Your Fit” commercial around it. It couldn’t be easier: you take a fun style quiz and receive a handpicked box of three beautiful pieces from top jewelry designers. You can wear the pieces for as long as you like–with an option to purchase–and then send back the box with the included pre-paid shipping label. Then, you submit your feedback and the stylist team will take it into account when they create your next set (as well as any items you’ve wishlisted on their Instagram account). Their fun, easy to use platform, and ongoing (cross-channel) feedback system has made me infinitely more adventurous in my accessory choices over the last few years–not to mention how fun it is to unwrap a surprise box of jewelry that shows up at your doorstep. I’ve been a loyal customer for four years and it doesn’t get old. What are your favorite brands and why do you love the story they tell? If you’re an e-commerce company, how do you differentiate yourself? Let me know in the comments below!